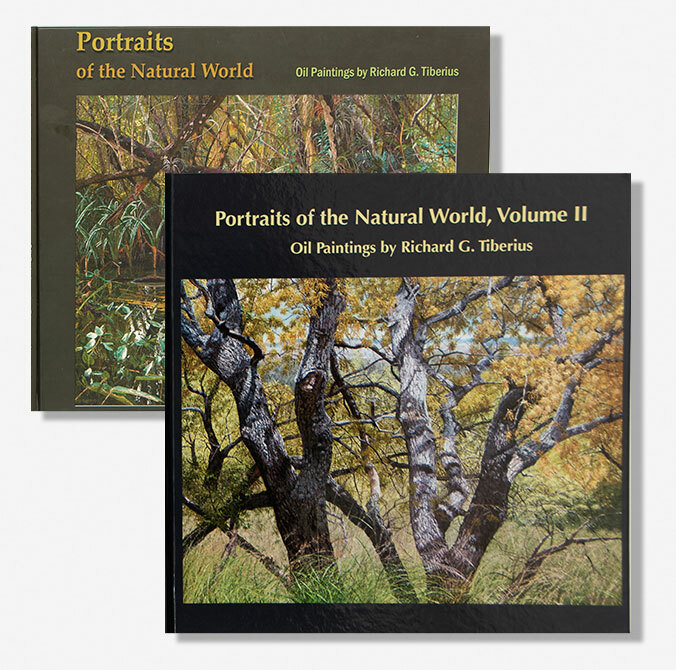 One of the features of a successful painting is a broad color range. A scene combining brilliant blue water, rich green leaves and bright flowers usually grabs our attention. This scene is the opposite. It is a study in muted colors. But it fascinated me because of the harmony of the colors between the trees and the Hawk and the story that they told. The pale grey color of the bark distinguishes the Pond Cypress (Taxodium ascendens) from its big cousin, the Bald Cypress (Taxodium Distichum). In poor and drier soils, where the Pond Cypress often grows, it forms thick savannas of stunted trees. These dwarfs can be hundreds of years old and yet attain heights of only 20 or 30 feet. 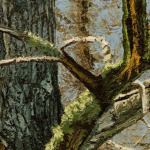 In this composition they form a grey-brown tapestry—a tangle of twigs and small trunks dotted by bits of blue sky. 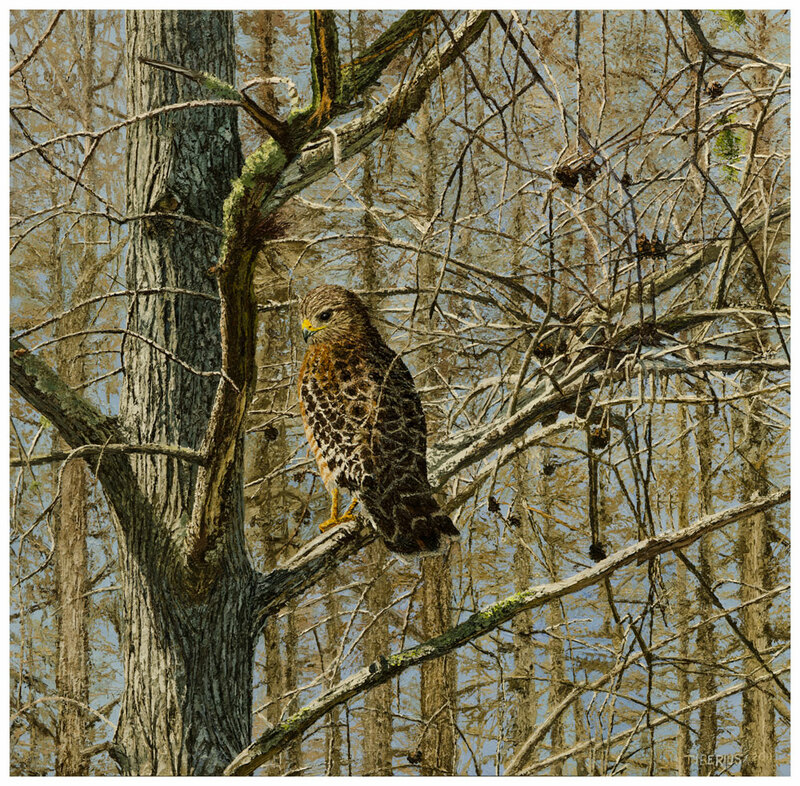 The brown and ochre tones of the Red-Shouldered Hawk blend into this background. Even the russet colors in the feathers are echoed in the Cypress cones and in a torn section of the branch. The Hawk’s hunting success depends upon stealth, its brown and creamy flecks blending into the surrounding forest. Notice that its tail feathers are spread rather than ending in the usual point, indicating that it is preparing to fly. And fly it did, moments after I took the pictures from which I made this painting. I used the edge of the painting knife to make the feathers, creating many fine cracks and ridges. This texture broke up the light so that the surface looked soft. 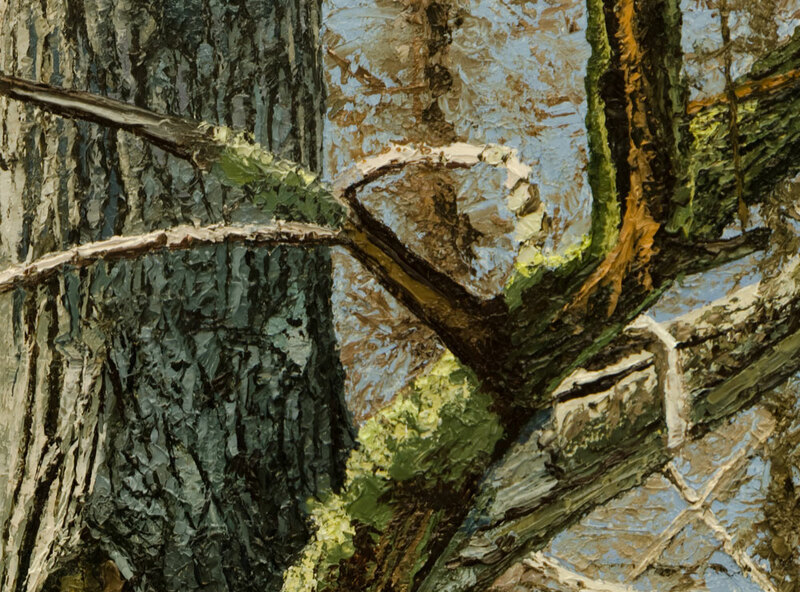 I painted the trees in the background imprecisely so that they would appear out of the focus of the viewer. I wanted to push the viewers’ focus to the harmony between the tree in the foreground and the Hawk.